Welcome to the Perelman School of Medicine family! We are so excited that you are joining us. My name is Ducky, and I am the President of the Medical Student Government and the head of the Wellness Leadership. I am originally from the northern suburbs of Chicago, moved out to sunny Southern California for college, and had a brief stint in Baltimore before landing at PSOM. Fair warning—you will see a lot of me next year and I will send you many emails (apologies in advance, but I can 73% guarantee that you will learn to love them). The transition to medical school is a unique one. To get to this point, you’ve all crushed college and made it on your own in the (pseudo) real world. I arrived at PSOM thinking I had figured things out in college and med school would be no different. On the first day of orientation, I felt a rush of excitement—I was here! Finally at the place I had been dreaming about since I was 16. I quickly found myself overwhelmed by our schedule and struggling to reconcile the material we were learning with the care I was hoping to provide my future patients. I was excited and proud, yet I found myself feeling out of touch with my mission and purpose—with the very reasons why I came to med school in the first place. I’m here to tell you: whether you seamlessly adjust to this new environment or you have a more challenging transition, please know that everything you are feeling is valid and others around you are feeling similar emotions. I got over the hump by reaching out to the incredible people around me, and I want to encourage all of you to do the same. PSOM should never be a place where you feel alone; we are a wildly dysfunctional family and you become a member on day one. The Community Conversations dinner series is offered monthly and cosponsored by the House System and student groups. The series provides an opportunity for students from across the classes to gather and discuss hardships and successes. Recent “Conversations” have highlighted challenges faced by medical students in both the preclinical and clinical years and allyship. The events feature a series of speakers followed by facilitated small group break-out discussions to talk about our own experiences in a safe and understanding setting. Dinner with Acquaintances continues the theme of connecting students between and across classes through potluck dinners offered each month in Center City, Grad Hospital, and West Philly (basically everywhere). We purposely pair up students from all years to promote inter-class unity. Feel free to bring store-bought cookies that you put in your own Tupperware. Perelman Pals groups students together to facilitate near-peer mentoring and socializing across the classes. In the Fall, Pals groups are composed of MS1s with MS2s and in the Spring, MS1s and MS4s are matched (Mentors! Role models! Best friends!?). The Workout Buddies program is exactly what it sounds like. We pair PSOM students from different classes with each other based on their own fitness level and goals, and then check in monthly to help students get as swole/cut/lean/mean/yucky as they want. Before I leave, I’d like to offer you one final piece of advice. Get to know your classmates—both those that enter with you and those who are already here. Every day I have the enormous privilege of spending time with truly exceptional and inspiring individuals. Do not take these people for granted! I can’t wait to meet many of you on Thursday. Once again, welcome to the family! Ducky is an MS1 from the suburbs of Chicago, IL. Her passions include lemurs, Bud Light Lime, and listening to Continuum-era John Mayer on vinyl. 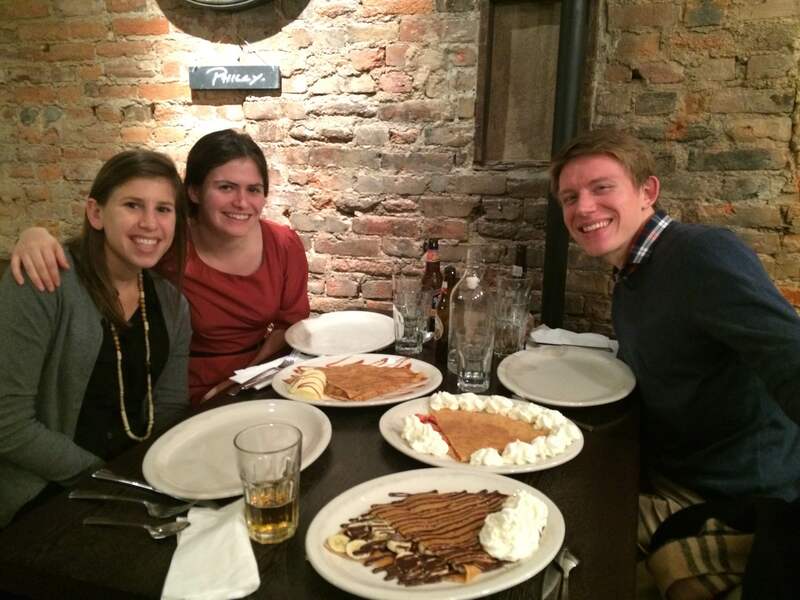 An inside scoop on a new event for Penn Med students! This past year has been an exciting one. I applied for residency in internal medicine and took some unforgettable elective rotations. Actually, as I’m writing this post, Match Day is only a week away! The most exciting part of this year, though, was seeing months of planning come to fruition in the PennTalks Teaching Competition. Back in September 2015, I went to the administration with an idea: let’s hold a competition where students compete against one another to give the best 8 minute talk they can on a topic of their choice. Each competitor would be paired with a faculty mentor, to help them refine their talk. The winner would be selected by a panel of “celebrity judges” (read: the student body’s favorite faculty), with the audience voting, as well. This TedTalks-meets-American Idol event would be advertised to the entire School of Medicine and celebrate how much we can teach each other as Penn medical students. Ultimately, the administration liked our pitch and gave us the go-ahead. Although a lot of work lay ahead of me and the rest of Penn’s Medical Education Club, I couldn’t have been more excited. After many months of planning and preparation, on February 25th, 2016, the first annual PennTalks Teaching Competition opened to an auditorium full of Penn medical students and medical school faculty. Our eight competitors, chosen from a pool of initial entrants, spanned all 4 medical school classes. Their talks covered a wide array of interesting topics. Examples included “Keeping Creativity Alive in Medicine,” “How to Insert an Ultrasound-guided IV,” “What are My Chances, Doc? – Why Biostatistics Are Important to Everyone,” and “What a Whale can Teach Us about the Human Body.” This year’s winner, Natalie Stokes, a 4th year applying in Internal Medicine, gave a stellar talk entitled “The Science of Swole: What are in those GNC Supplements Anyways?” All of the talks were fantastic, and everyone learned something new during the event. Casey McQuade, MS4 and co-president of the Medical Education Club, explains the rules for the night to the panel of celebrity judges. The success of this event demonstrates two key points about Penn. First, we have an administration who listens to our ideas and is willing to partner with us to make our ideas a reality. Without the support of our administration, and the faculty members who were either judges or mentors, the Teaching Competition would have remained another unfulfilled “good idea”. Second, our students are rooting for each other, and we naturally want to see our peers succeed. That willingness to share what we know with one another makes Penn students truly outstanding, and makes the School of Medicine a wonderful place to become a doctor. Natalie Stokes, MS4, launches into her award-winning presentation. Casey McQuade is a fourth year student who matched in Internal Medicine. He is interested in cardiology and general internal medicine, and served as the co-president of the Medical Education Club at Penn. Penn Med offers a plethora of community outreach opportunities, including several health clinics serving a diversity of communities in Philadelphia. Today, MS1 Sanford Roberts shares his experience as a volunteer for Heart Health Bridge to Care (HHBC). 5pm rolls around. I’m tired from waking up for 8am Brain and Behavior lecture. I don’t usually go to 8am lectures, but I can’t afford to get any further behind and I know the final is going to be tough. I run off to grab another coffee (thank goodness for coffee). Our clinic group huddles near the library, a mix of undergraduates, nursing students, social work students and med students. As we divide into carpools, we share what we’ve been going through inside and outside of school and clinic. The cars arrive and we pile in, and after traversing through half of West Philadelphia, we arrive at First African Presbyterian Church. Once we reach the basement, our group disperses and gets to work: some grab charts, others set up the waiting rooms, while others organize the patient-provider assignments. The basement is old, the walls are bare, and in general it’s not exactly what you’d expect when visiting the doctor’s office. But the place provides history, character and most importantly, a place our patients know and are comfortable in. Once everything is set up, the undergrad coordinators give us our patient files. I’m seeing two patients tonight. I begin to review their charts and make notes about what I think needs to be done during their visits. In what feels like a few short seconds, I’m told that it’s my turn to present in “circle up”. Circling up is a time when we orally present patients to each other in order to plan the upcoming encounter. It’s low pressure, really just a chance to chat about ideas and fill each other in on new information that might not be in the chart. One of the undergrads walks over and informs me my patient has arrived. My heart rate increases a bit, and I try to remind myself that there’s nothing to be nervous about. I’ve been seeing patients on my own for several months now, but still, this whole med student thing is relatively new. I walk out to see my patient and we head into a room for the visit. We chat for 20 minutes, his hypertension is well under control, but now he has a cough and wants advice. I get uneasy; we haven’t had pulmonology yet and I have no idea what should be on the differential. The rest of the visit goes well, and I tell my patient that I’ll be back as soon as I chat with the doctor. I head back to the main room and begin to look over the notes I just took. I begin organizing it into Subjective, Objective, Assessment and Plan sections (commonly called a SOAP note); it’s how we’re expected to convey information to residents and attendings. I find an attending sitting and chatting with a resident. I interrupt and ask if I can present. They oblige and begin to listen. Deep breath, here we go, I begin “Mr. JB is a 62 year old male with a past medical history of hypertension presenting today with a new productive cough…” I continue on telling the details of our visit. Finally we get to the topic of the cough. “It’s a cough producing yellow sputum, worse in the morning…”. The attending stops me; he asks when the cough began. Shoot. I hadn’t asked if he was a smoker either! In retrospect these questions really seem like common sense, but during the visit they hadn’t crossed my mind. I had never had a patient with a cough or lung problem before. Again I admit I forgot to ask, the attending reassures me that it’s fine, I’m still learning. We head back in to see the patient, who ends up having mild viral infection. After another several hours, seeing my second patient and charting up the visits for the day it’s time to go home. I arrive back around 10pm and proceed to immediately fall asleep in bed. Volunteering at Heart Health Bridge to Care (HHBC) has been an incredible learning experience. I’ve learned about hypertension, diabetes and many aspects of primary care. I’m beginning to learn the language and practice of clinical medicine. I’m getting exposure to the huge host of medical issues plaguing underserved areas of West Philadelphia. Most importantly, volunteering keeps me humble and reminds me why I’m in medical school. I’m here for the people, for my future patients. I’m here to learn how to ease pain and to heal. It’s easy to forget this when much of our current lives seems to revolve around learning the basic sciences as preclinical med students. Sure LEAPP and our Intro to Clinical Medicine course provide great opportunities for us to briefly step into the role of clinical providers, but somehow I feel like it’s not quite the same as going to clinic every week. Since we follow up with patients continuously at HHBC, I’ve had the opportunity to develop personal connections with my patients. I get excited when they’re doing better, and I feel responsible for developing solutions when they’re doing poorly. There is something really special about sitting across from someone as a health provider; people open up about their lives, their struggles, worries and pain. Sometimes all we can do is just be a supportive ear to listen, but many times we are able to take action to help and to treat. And who knows if we’re making a difference, I hope we are, even if it’s just to a few people. The thing I know for sure is that I’m different for being at clinic; it’s been an invaluable part of my Penn Med experience. Sanford Roberts is an MS1, originally from San Antonio, Texas (Go Spurs!). He graduated from Stanford University in 2013 majoring in Human Biology. In his free time Sanford enjoys pick up basketball, Netflix and exploring Philly’s vibrant restaurant scene. 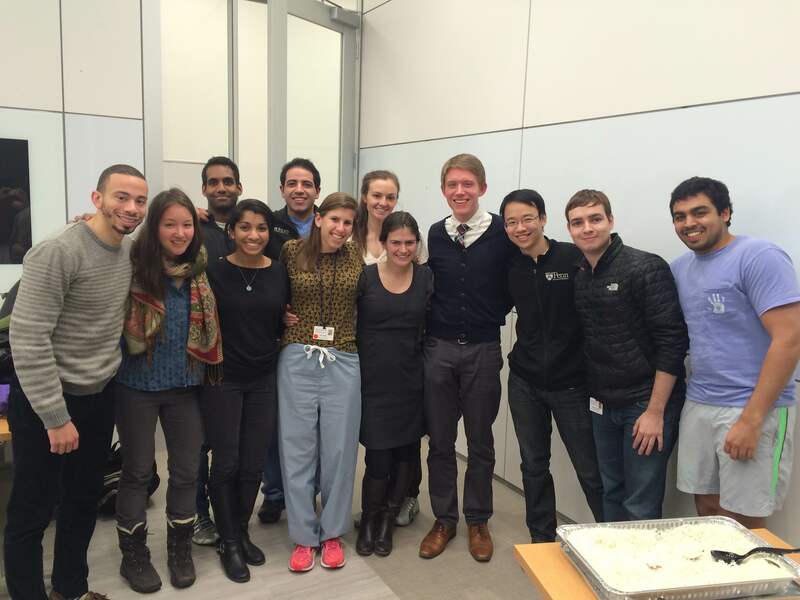 Medical Student Government (MSG) welcomes you to Penn Med! 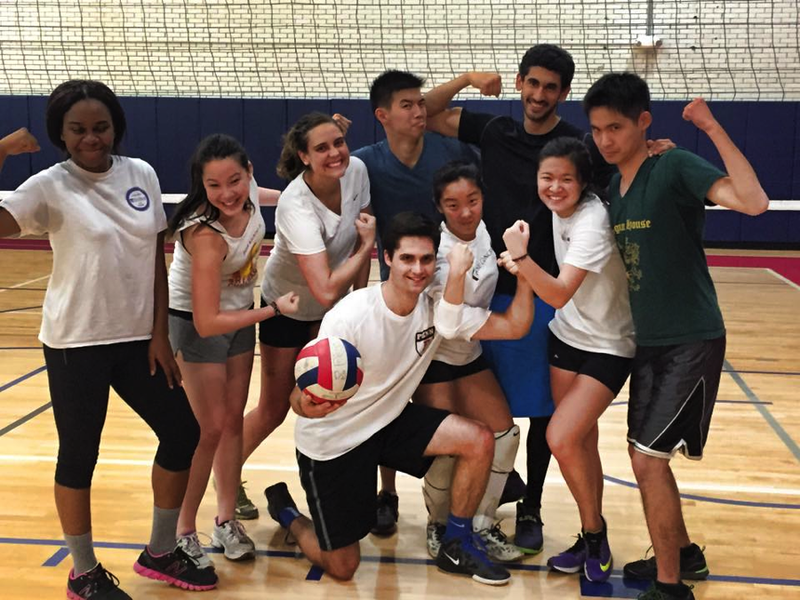 One of the great things about Penn Med is the huge range of student groups we have, from student-run clinics to specialty interest groups to music to sports. One best things about Medical Student Government (or MSG, as it’s referred to) is that we get to work with students and projects from all of these groups throughout the year! A little bit of background: MSG is made up of five class boards (MS1, MS2, MS3, MS4, and combined-degree/year-out, or CDYO) and an executive board. The class boards each have 2 Co-Chairs and multiple Class Representatives, and the executive board is made up of President, Vice President, and heads of Communications and Finance. Elections for the executive board and MS2, MS3, MS4, and CDYO boards take place in the spring, and MS1 elections take place a few weeks after school starts. Each of the class boards meets every few weeks to plan all sorts of class events, such as post-exam parties at bars, the Pre-Clinical Teaching Awards and the End of Clerkships Semi-Formal, and other activities such as broom hockey tournaments, baking competitions, class talent shows, class ski trips, and more! The class boards and the executive board all get together once a month for the MSG General Body Meetings, where we meet over dinner to discuss big-picture issues affecting the student body, update each other on things we’ve been working on, and just catch up with our friends in other classes. There are also some events that we plan all together as a group – such as the annual school-wide Penn Med Formal, a favorite among Perelman students! 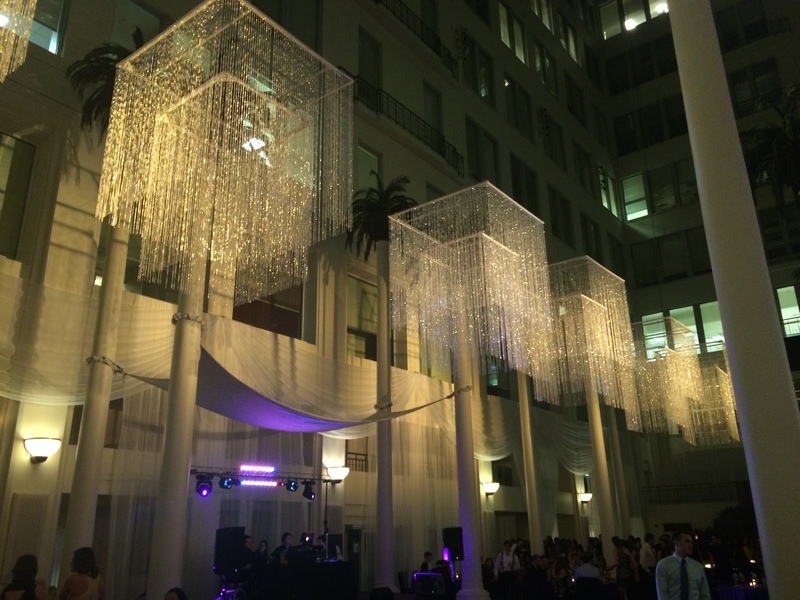 The beautiful Curtis Center, where the 2015 Penn Med Formal was held. Certain members also meet with the medical school administration at least once per month to discuss changes or events in the school. The administration is wonderful to work with – they actively seek out student input on every important decision, so these meetings allow us to make sure that student views and preferences are represented. For example, when the new Jordan Medical Education Center (JMEC) was being designed, the administration asked for our thoughts on every aspect of this new space, ranging from classroom design to the types of chairs we wanted! In addition to allowing me to learn a lot about how the medical school runs and to be part of some interesting conversations, what I love about MSG is the camaraderie and friendship that develops among the members. We collaborate closely across all classes and have a lot of fun at our meetings. We also become close friends, and love to get together outside of school. We hope to see you at the Student Activities Fair when you arrive on campus next summer. Whether or not you choose to become a member of MSG, we look forward to getting to know you at school events or through other student groups! Yael Nobel is an MS4, originally from the suburbs of New York City. She graduated from the Princeton in 2010, majoring in Chemistry and Global Health and Health Policy. In her free time she enjoys running, exploring new restaurants, and hanging out with friends.